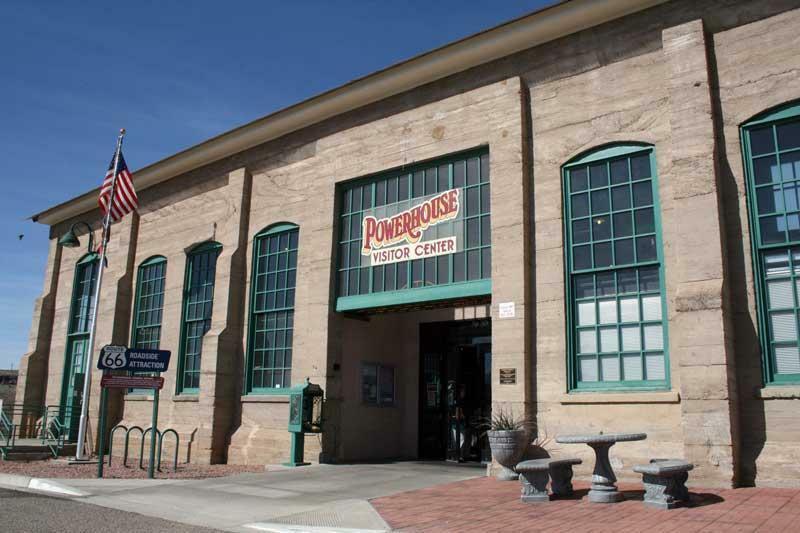 The Kingman Powerhouse provided power to area mines and the Kingman community. It was built between 1907 & 1909, first 'juicing' the lines in July 1909. It also provided power for the construction of Hoover Damn, the cheap hydroelectric power of which rendered expensive diesel generated power obsolete, resulting in the discountenance of electrical production at the Powerhouse. Image courtesy of the Mohave Museum of History & Arts. Many of the events or happenings that affect our lives, exist for only a relatively short time. These events, perhaps important at that moment, seem to quickly pass into that foggy realm of memories that we call history. 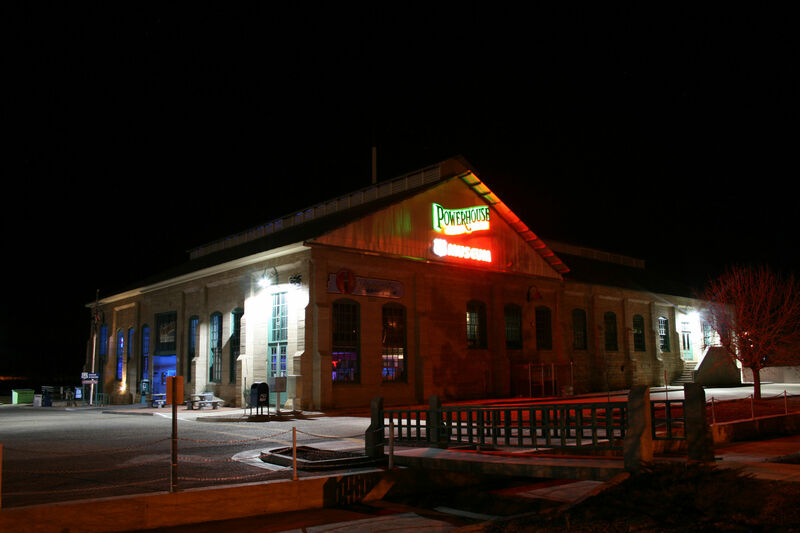 The Kingman Powerhouse is a classic example of this phenomenon. In its short span of twenty-nine years, it proved to be the primary influence in bringing Kingman and Mohave county into the twentieth century with its power. Mining flourished, as methods of ore extraction and processing became more efficient and cost effective. Furthermore, Kingman and the surrounding area would “see the light” and leave the dark side of the nineteenth century in the dust of progress. Yet, for all of its influence, if you took a poll today, to identify the important economic factors in the growth of Kingman during the first years of the twentieth century, you would be hard pressed to find anyone who would list the Powerhouse as one of those factors. The year was 1906 and Mr. Monteverde was in Kingman with a plan to build a power and water company. He decided that Kingman was the appropriate site for expanding its services and that the surrounding mining camps were literally a “gold mine” of customers for its product. The plant held out the promise of power for the mines; power, lights and water for Kingman; and even the speculation of an eventual electrical trolley system to handle passengers and ore being transported between Kingman and surrounding mining camps. 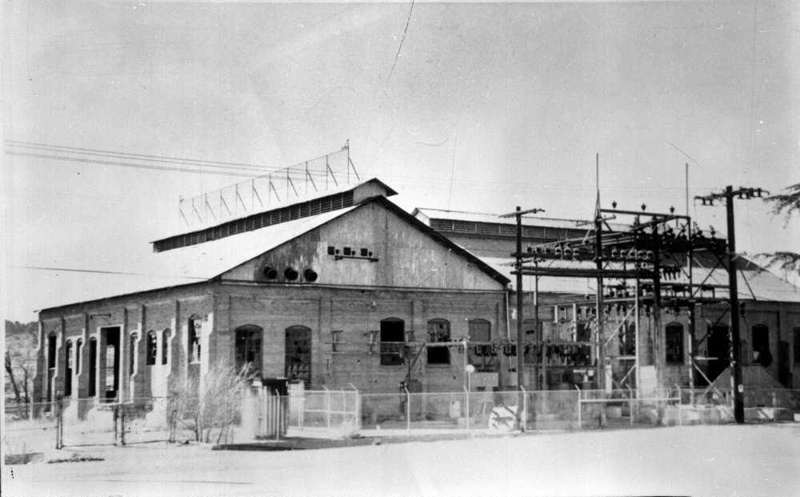 Ground breaking for the new plant, designed by the Tracy Engineering Company of Los Angeles, took place around June 10, 1907 and construction was underway by the middle of July. The first building (a close look shows that the plant is really three buildings joined to form one) was to be 60 feet wide by 110 feet long. The walls were constructed of poured concrete, 18 inches thick and nearly 20 feet high. Upon completion of the walls, an iron truss roof was put into place. A spur track of the Santa Fe railroad was run to the site to provide for easy delivery of equipment and material. Roadmaster Hendron supervised the construction. Throughout the rest of 1907, equipment and material flowed into the site as construction continued at a furious pace. The new year of 1908 brought in two large dynamos, which would be the heart of this oil-fired, steam-driven plant and produce over 1500 horsepower. Construction slowed during the first part of 1908 as roofing materials were slow in coming and heavy rains delayed interior work. It was during this slow period that the only recorded accident occurred. W.P. Vestal was struck on the head by a beam that broke when a platform collapsed. None of the men on the platform was injured, but Mr. Vestal was bruised and received a large cut on his scalp. His injuries were not too serious as it was predicted he would return to work in a few days. Finally, in August, the roofing material was received and the roof was rushed to completion so that the work on the interior could proceed. Word was also received that the Tracy Engineering Company had purchased control of the desert power and Water Company and would push for the completion of this $300,000 project. 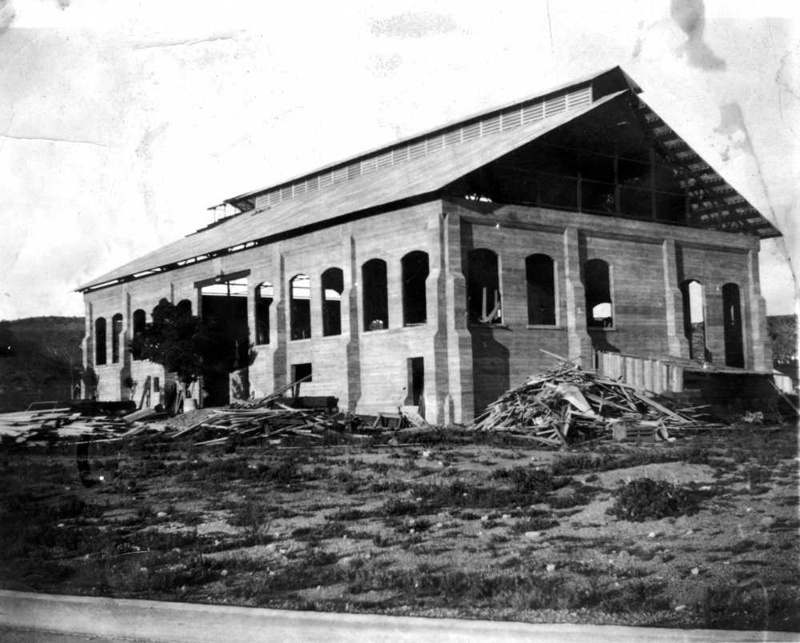 During the last three months of 1908, poles made from California cedar were being erected, miles of heavy copper wire was being strung, and interior work on the plant was being completed. Brick to enclose the boilers and the cooling tower was nearly finished. Last, but not least, the giant stacks had been put in place. The new year of 1909 brought the finishing touches to the project which included the final stringing of wire , connections made by the electricians, water pipes connected and inspected, and the installation of the transformers and a switchboard. A small Dynamo was put in place to provide electric light services to Kingman. The boilers were completed and a trial burn was conducted prior to full start-up. By mid-July, lines had been strung into Kingman to a distribution point on Fourth Street, the boilers had been tested and all the Goldroad connections completed. 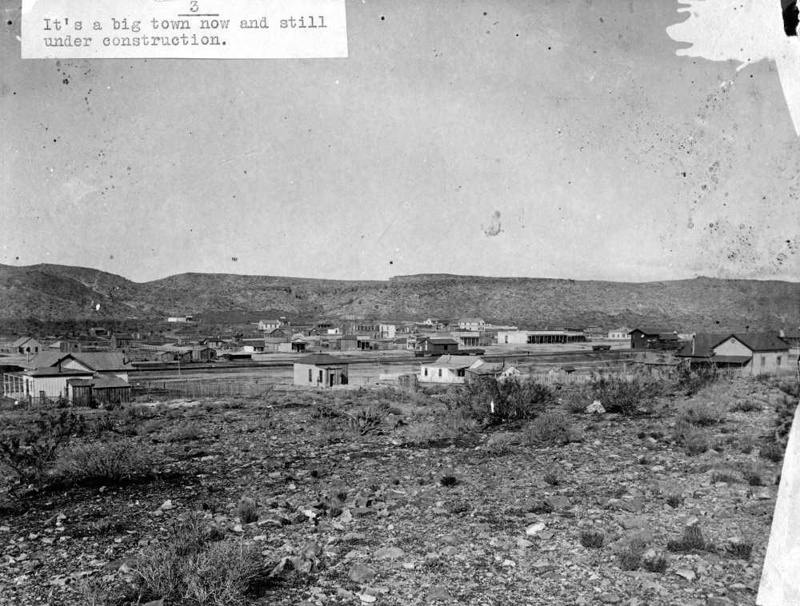 By Mid-August, lines were being strung throughout Kingman, with J.E. Perry receiving the distinction of being the first Kingmanite to have electric-powered lights from the new plant. 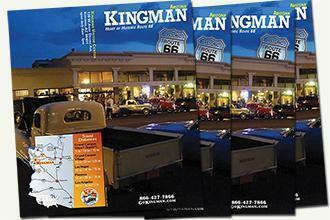 By October, almost all of the Kingman businesses were electrically lighted and many of the residences followed suit. 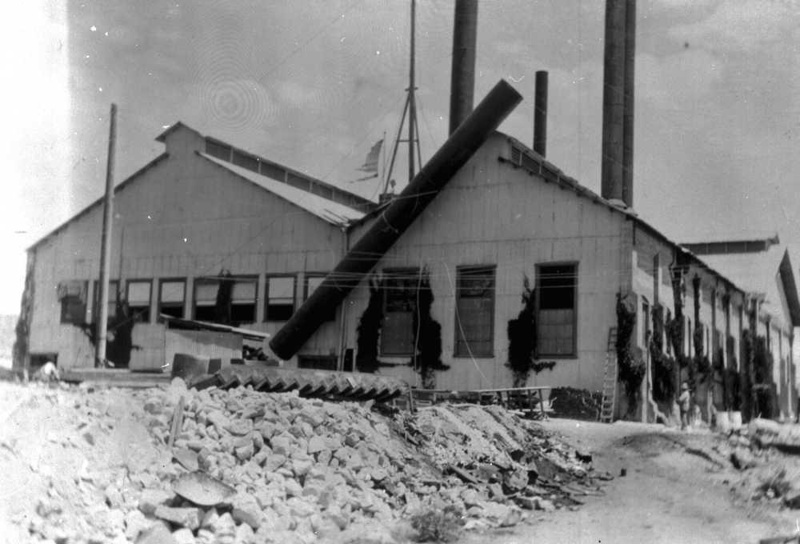 The next two years brought continued acceptance and patronage of the facility and by the middle of 1911 plans for expansion were put into operation. The machinery necessary for that expansion arrived with the New Year. A large addition was made to the plant to house the new engines, which increased the output by more than 3000 horsepower and raised the total to over 6000 horsepower. The company busily doubled the lines in Kingman to keep up with the demand. The new additions to the Powerhouse and the increase in business locally had a positive effect as, in June, the company lowered its minimum charge for electric lighting from $2.00 per month to $1.50 per month. In the span of three short years, Kingman and the surrounding area had been “electrically ushered” into the Twentieth Century with all the benefits and problems it would bring. Mining would flourish as never before and the future of Northwest Arizona looked very bright indeed. In 1917, another addition was made by installing a 3500 horsepower turbo-generator in the plant, thus bringing the basic output to over 10,000 horsepower. 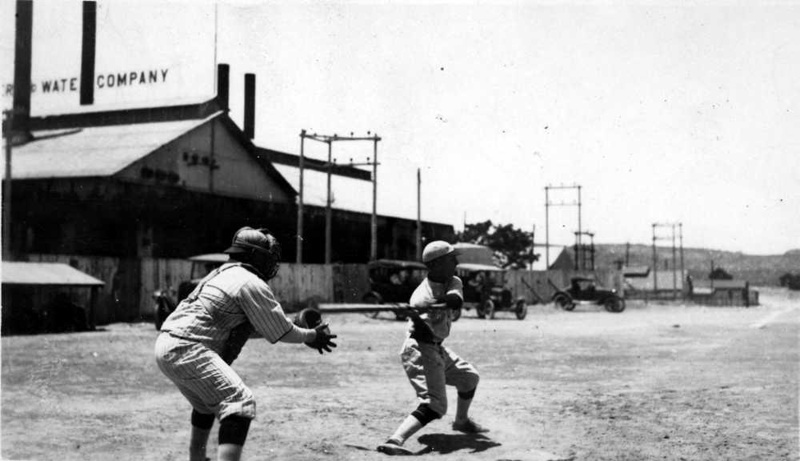 In 1927, a change of ownership occurred, as the W.B. Foshay Company of Minneapolis purchased the property and set up a management company to run the Powerhouse. This company was the Public Utilities Consolidated Corporation of Arizona. 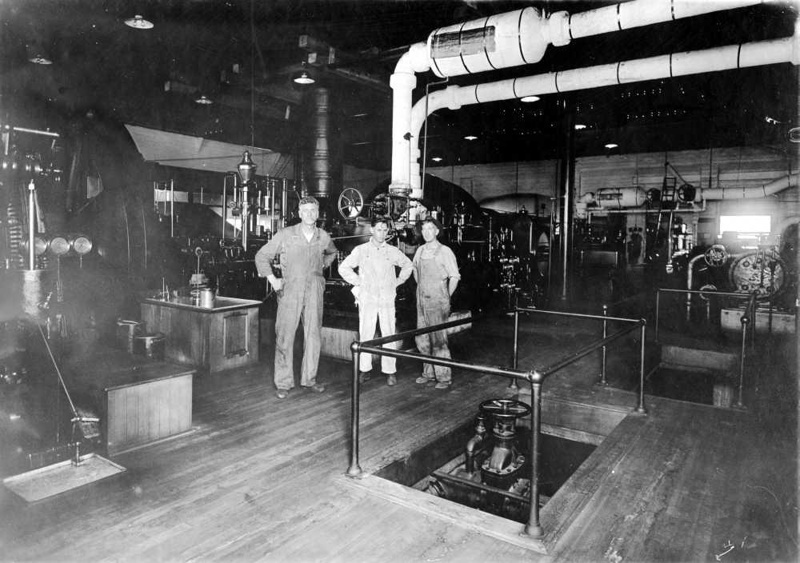 In 1935, the Citizens Utilities Company of Delaware purchased the plant and in 1937 added the final dimension by installing an additional 5000 horsepower turbo-generator. 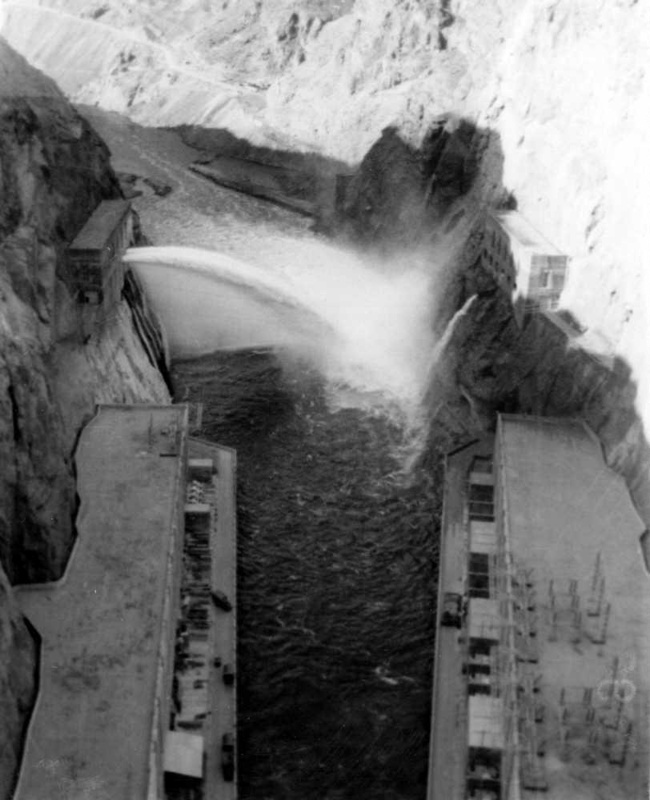 The plant was put on standby in 1938, to serve as a backup to power received from the new power generating stations of the recently completed Boulder (Hoover) Dam. For many years the Powerhouse sat idle while neglect took its toll on the once flourishing plant. In 1978 the Powerhouse Gang was formed and inspired by the adaptive reuse of industrial and warehouse buildings across the USA considered a way to rehabilitate the old building. The “Gang” was incorporated in 1984 and by 1986, Citizens Utilities deeded the Powerhouse to the Gang as a tax write-off. 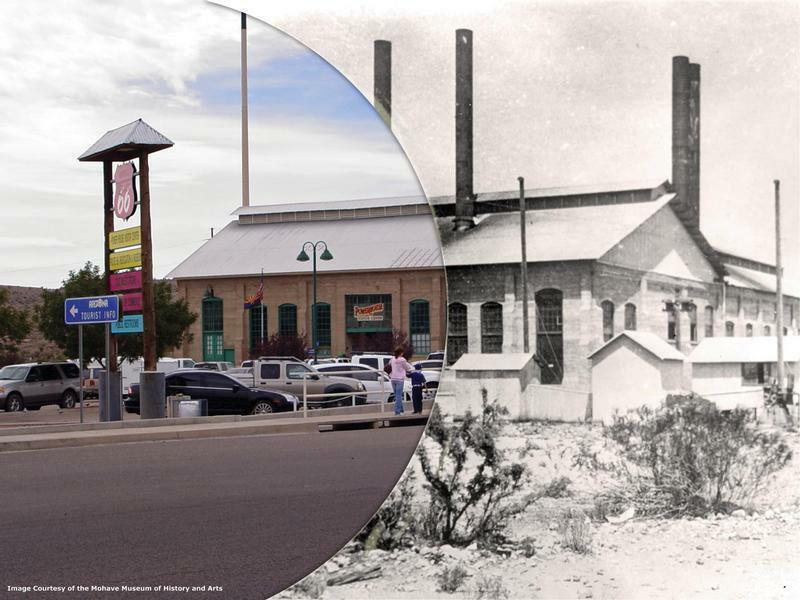 After a structural report that was completed in 1987, the City of Kingman and the Powerhouse Gang received a grant from the State Historic Preservation Office for a historic building analysis and detailed structural report. 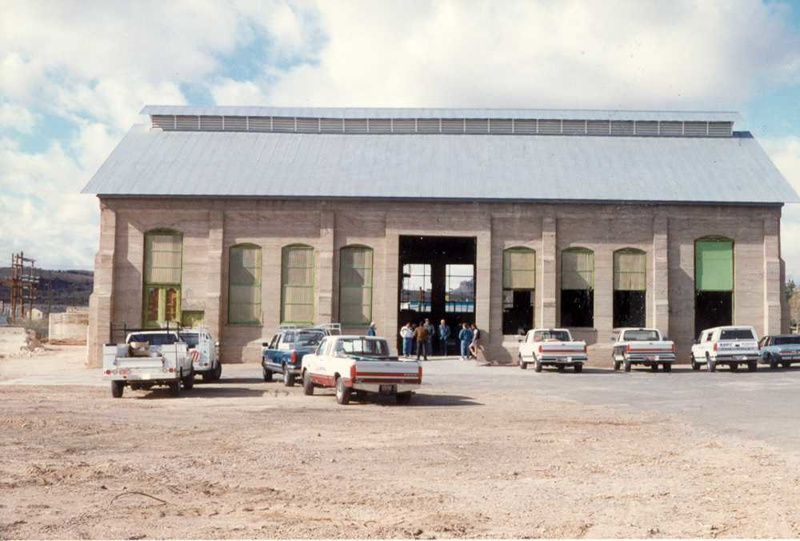 Between 1990 and 1995 after more grants, fund raising projects, and total renovation, the Powerhouse re-opened in 1997. The Arizona Route 66 Museum opened inside the Powerhouse shortly after (Sept 29, 2001) during Kingman's Annual Andy Devine Days celebration. Now called the Powerhouse Visitor Center, it is home to the Arizona Route 66 Museum, the Carlos Elmer Photo Gallery, Bob Boze Bell's 'The 66 Kid' Exhibitiion, the Historic Route 66 Association of Arizona Gift Shop, Kingman Visitor Center & Gift Shop and two model trains on tracks that circle the inside of the building. Come on in and share with us a wonderful piece of Kingman’s rich history. 1. The Tracy Engineering Company appears to have had an investment interest in the Desert Power and Water Company and, in fact, eventually took over the company. 2. Mohave County Miner – June 8, 1907, and July 27, 1907. 3. The plans called for three buildings to be erected of reinforced concrete. One building was to be used as the Powerhouse, one for the transformer, and on for office purposes. Mohave County Miner – June 15, 1907. 4. Mohave County Miner – May 23, 1907. 5. Mohave County Miner – August 21, 1909. Days of Operation: The Historic Powerhouse is open seven days a week, and closes for New Year's Day, Martin Luther King Jr. Day, Easter Day, Fourth of July, Veteran's Day, Thanksgiving Day, the Friday after Thanksgiving, and Christmas Day. Be the first to review us. Thank you for visiting http://www.gokingman.com/attraction-Historic-Powerhouse! Be sure and revisit gokingman.com frequently for content updates and more.